Fit it and we'll store it. If your holiday decor fits in the van, we'll store it. 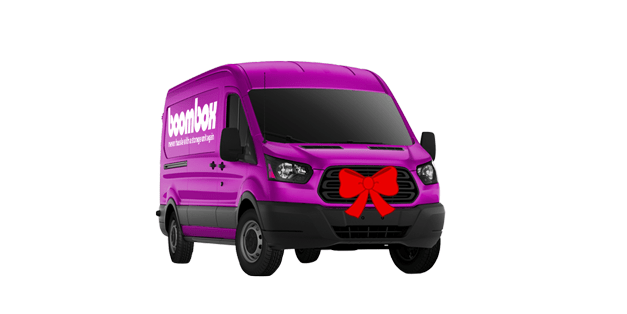 Order one of our purple vans to your home or office and store up to 50 sqft of your holiday decorations. What can fit in a 5x10? About the size of a large walk-in closet, a 5x10 storage unit can hold all your holiday decor. 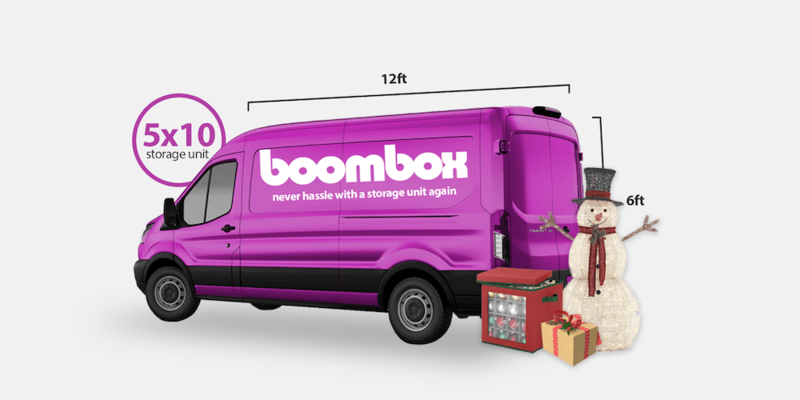 With a van length of 12ft you'll even be able to store the tree! Storage at your doorstep. 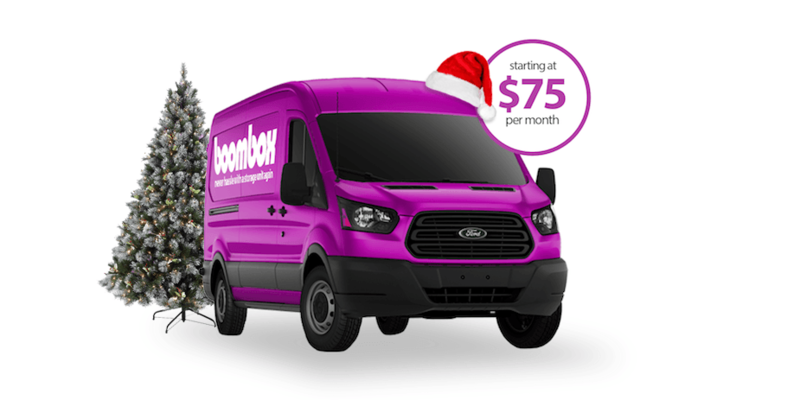 Request a purple van to your home or office and we'll take care of your holiday storage needs. Let us load the van. Just sit back and relax while our moving team transports your holiday items to our climate controlled storage facility. Keep your decor neat and organized. We catalog all your stored items with professional looking photos so you'll always find that special christmas ornament. Holiday decorations are just a click away. When the holiday season rolls back around, we'll deliver your holiday decor right to your door. Fill the entire van for just $115 a month. That’s a whole lot of holiday storage for a whole lot cheaper. "I was looking to store my holiday decor, and these guys made it so easy! The whole process was extremely convenient and offered superior service and much better pricing compared to other San Francisco self-storage options." "Incredible Job! I needed to store my Halloween and Christmas decorations since I was running out of space in my small San Francisco apartment. That's when I found Boombox. Their full service storage solution alleviated the stress of the holidays and all my holiday decor was neat and organized with photos online. Super work! "Really appreciate the storage help Boombox! Closet space is hard to come by and my holiday decor was making things in my San Francisco home feel cramped. I decided to store my holiday items and I'm so glad I did. My decorations are there when I need them and don't take up space when I don't!" "What an awesome experience! The whole process from start to finish was great. The crew was on time and loaded my holiday items into the van in a timely manner. Best Christmas gift ever! " 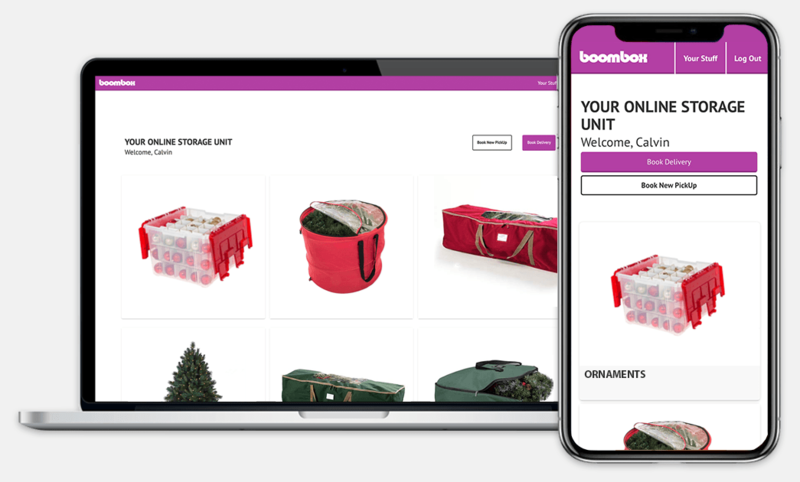 "I was looking for self storage near me since I needed to put my holiday decorations in local sf storage and I am so glad that I found Boombox's full service storage solution. Not only does Boombox offer a better rate but than other self-storage options but they offer more service as well, they came to my apartment for a last minute pickup with no questions asked. They were easy to contact and were able to accommodate the exact time and day that worked for me. This is exactly what I wanted"
"Boombox Storage is really as good as it gets. They are professional, do the heavy lifting, the site is easy to use, and the price is amazing. The two individuals that came to load up my stuff were very sweet and careful. I highly recommend this for anyone with storage needs!"" "Genius idea. Great, responsive service with a smile. Total bargain. More than compensates for the weird looks I get from neighbors when the big pink truck pulls up." Great company. Fast and easy and affordable. Nothing was damaged and they took great care of my stuff. 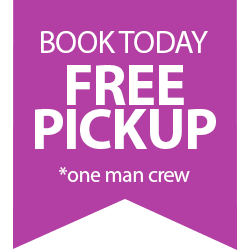 Lots of flexibility with scheduling the delivery and pickup. The holidays are stressful enough. 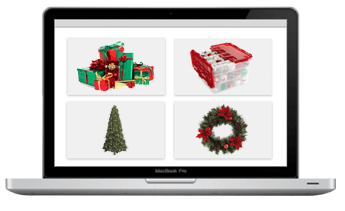 Manage your holiday items and easily schedule appointments all online. You'll never have to visit a storage facility again! How does Boombox ensure my holiday decor is stored properly? Our top priority is making sure your items come back in the same condition as they were put in. All you have to do is pack and we will take it from there. Our moving crew will load your items into the truck and wrap any delicate holiday decorations in moving blankets to ensure they are transported safely to our warehouse. Our secure storage facility is climate controlled and monitored 24/7 so your holiday items will always be safe and secure. When the holidays come back around simply book a delivery online and we will deliver your holiday items back to you, so you can spread some Christmas cheer. How does Boombox organize my holiday decorations? After Santa's little helpers (Boombox's moving team) load the van, the team transports your holiday decorations directly to our secure storage facility. At the warehouse the crew will barcode and photograph each box of your holiday decor. The photograph will be uploaded to your online holiday storage unit along with a description of the item. If you are storing a box of ornaments, or christmas lights we will photograph the outside of your box and upload the photo along with any description you have written on the outside of the box. That way you will always be able to find the specific box of decorations you need. No more digging through dusty San Francisco storage units! 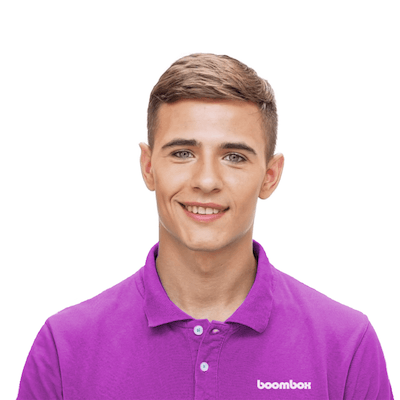 What is Boombox's service area? Boombox proudly serves the San Francisco Bay area. If you want to check to see if you city falls within our service area check out our Locations Page. Our service area extends from San Francisco down to San Jose and as far east as Oakland and Berkeley. 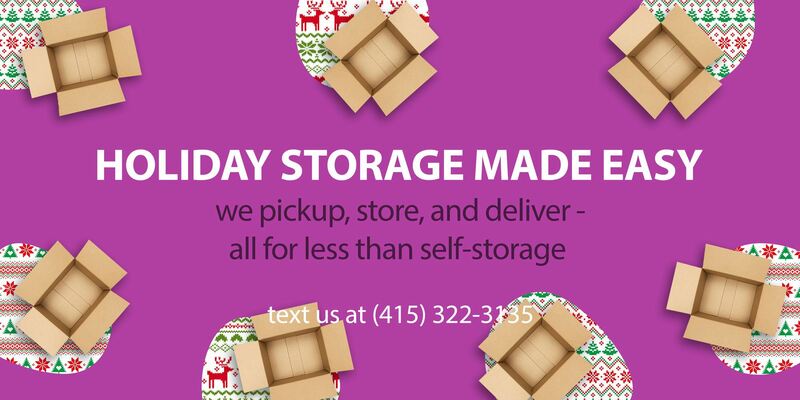 If you are looking for an affordable San Francisco Bay Area storage option for your holiday items we are here to help. Our storage van will pickup your holiday items directly from your door and deliver them when the holidays roll back around. That way you won't be tripping over holiday decorations all year. Your holiday decor will be there when you need it and out of sight when you don't. How does Boombox make sure all my holiday items are returned to me? We barcode and photograph each holiday item you store with us and upload your pictures to your online holiday storage unit. You can verify that all your items are securely stored with us by logging on to your account and looking over all your storage photos. When it's time to get your decorations back, our crew goes through the exact checklist of your items and make sure each item is delivered to your specified delivery address. 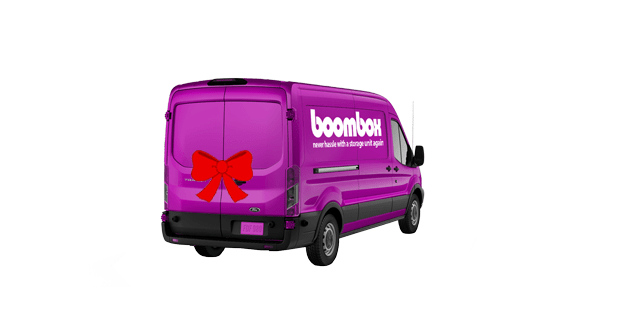 The stress of the holidays is enough already let Boombox make holiday storage easy for you! You'll never have to visit a dusty San Francisco self storage unit again! How does the storage pick up work? Let us relieve your holiday stress?! Our full service storage solution comes with a free home pickup. We meet you at your location with one of our snappy purple storage vans. Our team then loads the van and photographs and barcodes each holiday item or box that will be stored. Within 48 hours, you’ll be able to log into your online storage account and see your complete holiday storage inventory! Our pick ups are available within our Bay Area Storage service area. 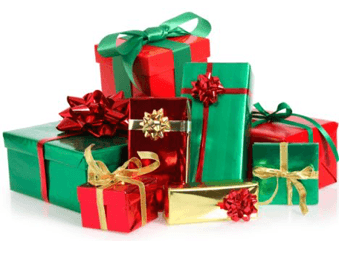 So if you are looking for storage San Francisco, try our full service holiday storage solution today and say goodbye to San Francisco self-storage for good!